An initiate's guide to the healing practices, spiritual exercises, and secret rites of the Mother Mantra tradition Hidden at the heart of nearly all spiritual and esoteric traditions lies the powerful teachings of the Mother Mantra. Its initiates have preserved its consciousness-expanding techniques for millennia. Originating in the ancient practice of shamanic yoga, this tradition allows us to perceive the full complexity of reality. It helps us see both the visible and the invisible, moving beyond the consciousness of duality that limits us to only the material world. Operating in this heightened state of non-ordinary consciousness, we can see beyond our subconscious programming and behavior patterns and understand our possibilities and powers. By removing all fear, it allows you to love yourself exactly as you are. In this spiritual and philosophical guide, initiate Selene Calloni Williams shares the healing practices and spiritual exercises of the Mother Mantra tradition. She explains how these practices bypass the thinking mind to access our higher spiritual consciousness, allowing us to awaken to the dream nature of reality and release us from all fear. 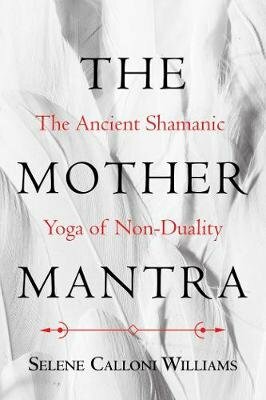 She details the exercises and practices of the four-part Mother Mantra. The author also describes the practice of the Egyptian mantra, a soul-making ceremony that unites the initiate with the Chthonian realms and attracts wealth and abundance, and the Mystical Marriage Mantra, which opens a path to authentic transformation and rebirth. Additionally, Williams presents five spiritual rituals, including yogic poses and exercises, that can be incorporated into daily life to allow divine communication through the chakras, awaken the mind and body from the aging process, and reestablish the universal balance between humanity and the divine.